Two of the most important steps in any zombies map are finding the Power Switch and locating the Juggernog perk. In this guide I'll show you exactly where to find both Power and Jug in Zetsubou no Shima thus helping you open new sections of the map and get that extra protection from zombie attacks. Let's start with the location of the Power switch. In this particular map there are many features which are locked behind the Power including all of the perk machines, some awesome propeller traps and the zip wires. As you turn on the power you'll see a distinctive green light in the sky and above the bunkers. The appropriate cables that are strewn across the map will turn blue and several of the control panels will be activated, which you'll need for part of the larger Easter Egg. The biggest change between Zetsubou and Der Eisendrache is that there is no main power switch. Instead, it's more like the Origin's concept where you have to power individual Generators (in the various sections of the map) rather than flicking a single switch. As you turn on the power in each section the nearby Perk machine is activated along with any traps and mechanics. You must find the Bucket item and fill it with 115 Water from one of the pools: near Lab A or Lab B, then place the water inside the generator to activate that sections power. At the start of the game you have to turn on the power at Lab A and Lab B simultaneously; there is a time limit so if you're not quick enough then the generator will shut down again. If you successfully activate both Lab A's and Lab B's power then it stays on permanently and the door to the Bunker can be opened. You should also see two green LED's above the bunker entrance to signify that power is on at both labs. 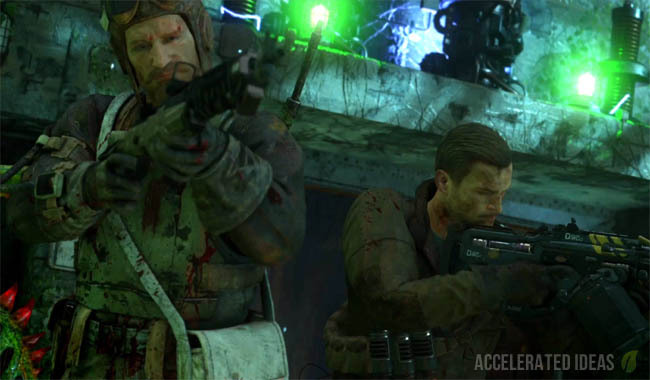 Once inside the bunker there is a final power generator which you turn on to power up additional features. To locate the power room, open the left hand side door when you reach the Pack-a-Punch area. Follow the route into the next room where you should see the generator and a flooded lower section. Swim into the flooded section and look left for a spider web which is blocking the turbine. Clear the web using your knife and kill off the remaining underwater zombies. The barrier will re-open again allowing you to flick the final power switch. Job done!! 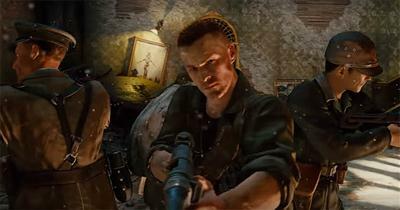 Among the many Perks in the zombies landscape Jug is usually the one you want first, with Quick Revive also a very high priority for Solo players. Without this essential perk you'll find it very hard to survive for very long, simply because it's far denser with less wriggle room compared to Der Eisendrache. 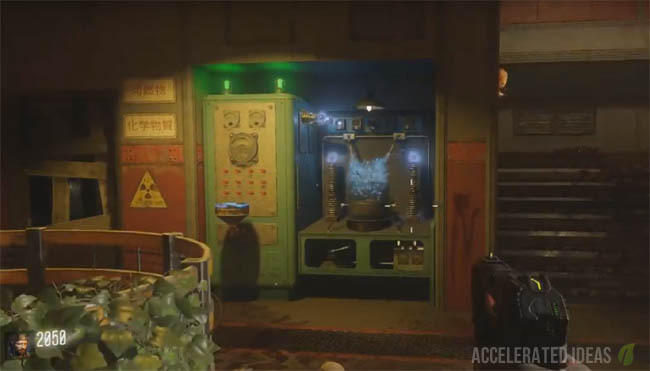 In the trailer, Jug was located right inside the Communications Center in Zetsubou no Shima, which is quite far from the spawn point, on the opposite side of the map. 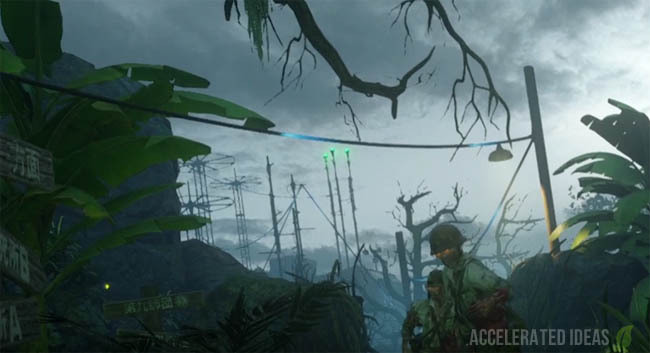 However, this is NOT the permanent location for Jug because just like in the original Shi No Numa map, the perks will change location every game. So forget making a dash for a particular area of the map because it's a game of luck. If there does turn out to be a clue to the Jug location (like the coloured bottles in SoE) I will update this section with details. Costing the usual 2500 points you should be able get this perk after roughly five rounds.